I don’t wear a red poppy, not deliberately to make a point, nor out of disrespect – it just isn’t the symbol that captures enough of what, how and to what end I want remember. It is Remembrance season and once again I find myself feeling slightly uncomfortable, a bit pedantic, no doubt irritating and at worst offensively unpatriotic. And yet Remembrance is one of my favourite themes and both my grandfathers fought in the World Wars. So why can’t I jump whole-heartedly into the seas of poppies and poppy wearers, dignitaries and wreaths, that stream through our streets to lap up against memorials and into churches each November? Of course I want to ‘remember’ and acknowledge all the soldiers who died or were wounded serving their country, but discordant questions waft like dried leaves or ghosts through the architecture of British Remembrance rituals. So once again I ask myself and all of us collectively: what exactly are we remembering, and to what end? Remembrance is by nature vital, solemn, beautiful, meaningful… in many ways we do it so well. But beneath the tradition, ceremony and ritual conveyed through a distinctly military visual language, the message has also, in today’s world, become slightly flawed, inadequate and at times hypocritical. I am on a very long walk – 600km so far – and as my legs go through the motions of left right, left right, left right I find myself thinking about my German grandfather going through the same physical motions as he marched into Russia with his Wehrmacht troops in 1941. 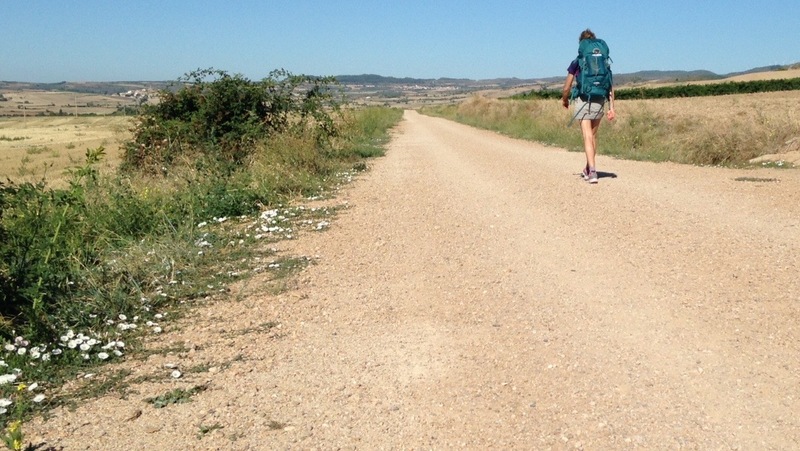 I am walking West across the north of Spain on a pilgrimage to the spiritual destination of Santiago de Compostela. He was marching East across Russia to capture the strategically important destination of Moscow.